If you used the Giter8 template to create a build as described in the Getting Started section, you will have an sbt build project. 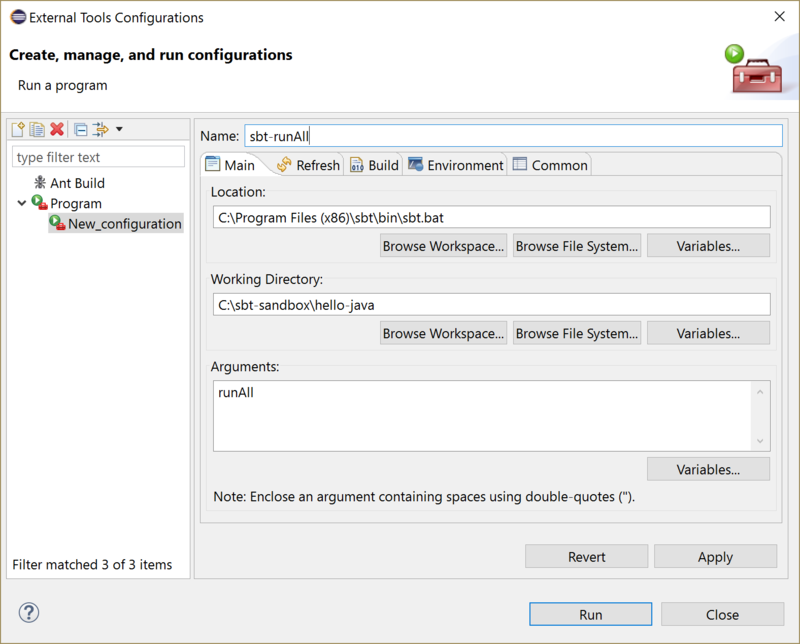 To make it possible to import the project into Eclipse, sbt provides an sbt-eclipse plugin that generates Eclipse project artifacts for each of the subprojects. 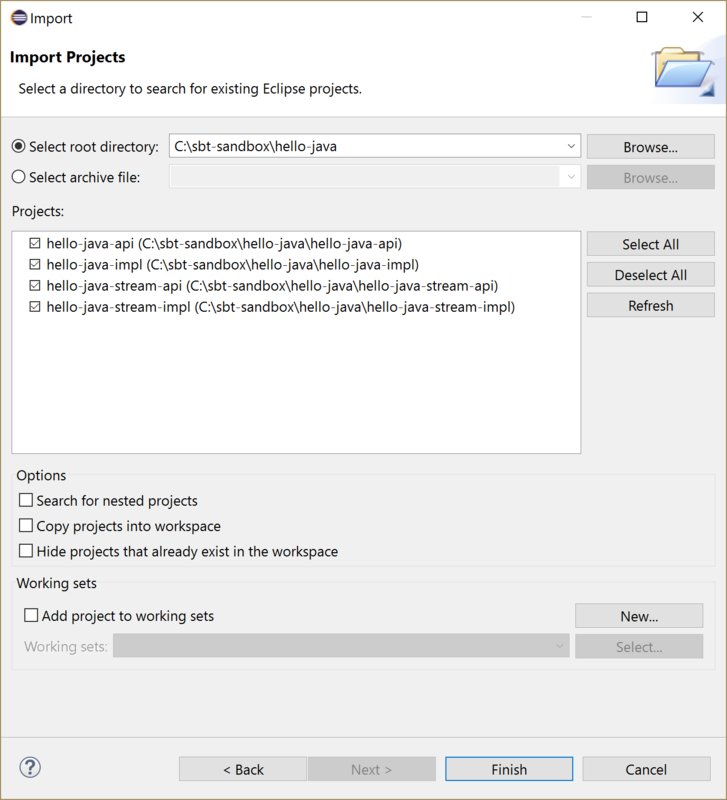 In a console, cd to the top-level folder of your existing sbt project, and enter sbt eclipse to generate the Eclipse project files for all projects in your build. Start Eclipse and switch to the Workspace you want to use for your Lagom project. Expand General, select Existing Projects into Workspace and click Next. The Import Projects page opens. Click Browse, select the top-level sbt project folder, and click OK.
Optionally, select Copy projects into workspace. From the Eclipse toolbar, click External Tools and select External Tools Configurations. 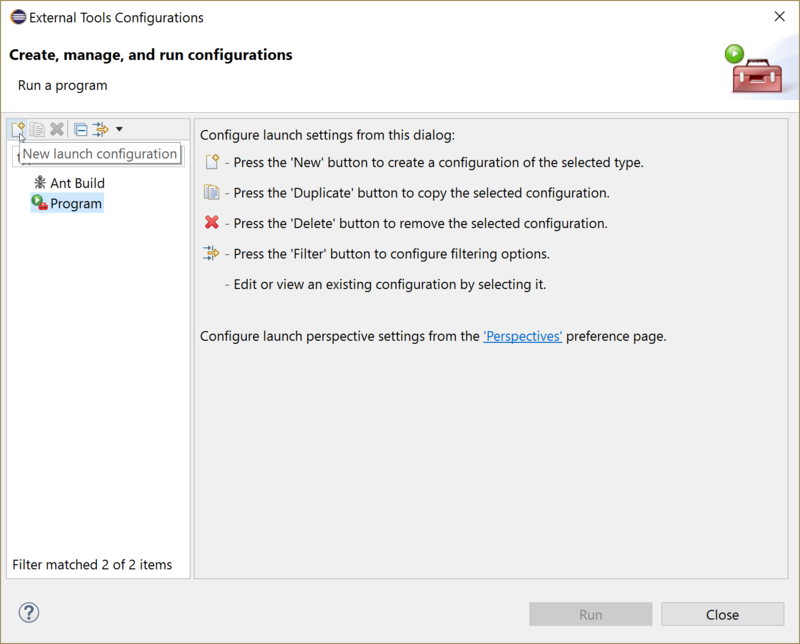 In the left pane, select Program and click New Launch Configuration. On the Main tab in the Location field, enter the location of your sbt installation. For Windows, browse to the location where you installed sbt and select sbt.bat. On Linux, you can find the location of sbt by opening a terminal and entering which sbt. In the Arguments field, enter runAll. On success, the console shows that the services are running.